FAQ caravan rental | Bij caravanencamperhuren.nl makkelijk en voordelig caravan of camper huren. Dat kan bij ons al vanaf 35,- euro per dag! Verhuur per dag mogelijk! Boek direct online. Voor het ultieme vakantiegevoel. Is it possible to rent a caravan every day of the week? At RicoRental.com it is possible to hire a caravan on every day of the week. Only on Sundays and public holidays is not possible. You are not tied to mandatory changeover days when you want to get a camper or return. The minimum rental period for an motorhome is five days. At what time can I pick up or drop-off the caravan? If you want additional options or packages, you must indicate this when making your reservation. If you wish to book additional options later, please contact us, but there is a risk that the option is no longer available. Information about extra insuranceI want to reserve additional options, this may at any time? Are pets and smoking allowed? Given the past experience, pets in the caravan are not permitted without explicit permission of owner. There are some possibilities to bring pets. One has to accept the instructions given by the owner. Please indicate that you bring pets when you make the reservation. The surcharge is €. 150.00. It is not allowed to smoke in the caravan, When offense at least €. 500.00 will be charged. Can I preview a caravan? 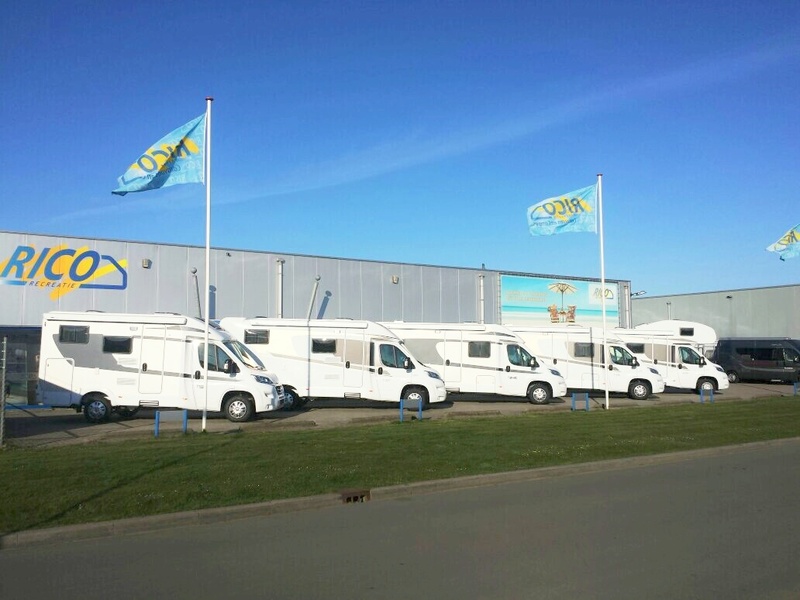 It is certainly possible to come and see our rental caravans, make an appointment in advance to make sure that the caravan is present.. You can visit us at any time at our locations in Drenthe and Amsterdam-Schiphol to view the entire rental fleet. Can I rent a caravan living in Belgium? Our Belgian customers wonder if they can hire in the Netherlands? Customers from Belgium frequently rent a caravan or camper with RicoRental.com. In recent years we have welcomed many customers from Belgium. We are often asked whether it is legally allowed for a Belgian to rent a caravan or motorhome in the Netherlands. The answer is; YES. You may drive a car with belgian licence plates and a dutch caravan if the caravan is rented and you can provide lease policy. Do you want more information? Feel free to contact us during office hours. Can I extend the rental period after booking? We ask once a deposit of € 750, - per rental period. Any default penalties and damage to the inventory will be settled by us with the deposit. By damage to the caravan the deposit serves as your own risk. See also our terms and conditions. SOS International breakdown cover including replacement caravan. Two caravan mirrors for the car. Fully detachable awning. The budget series is equipeped with a canopy or Fully detachable awning. The issue cost for a caravan standard amounts € 49.00 per period. There are no additional fees charged afterwards. What is the advantage of hiring at RicoRental.com.